There are several reasons why the world is turning Right. Globally, major democracies are today ruled by the Right: the United States (Republicans), Britain (Conservatives), Japan (Liberal Democrats), India (BJP), Australia (Liberals) and a raft of countries across Europe (Austria, Poland, Hungary and Italy). Note that Japan’s and Australia’s centre-right parties are respectively called the “Liberal Democratic Party” and “Liberal Party”. So, are liberalism and the Right compatible? What are the values the liberal Right espouses? And the Left, which has arrogated liberalism to itself - just how liberal really is it? There are several reasons why the world is turning Right. Disillusionment with the Left is surging even in Canada where Prime Minister Justin Trudeau, poster boy of liberalism, has in recent months seen his popularity plummet. Trudeau epitomises all that is right and wrong with the liberal Left. For example, under the guise of inclusiveness, he has embraced Khalistani separatists. Trudeau’s visit to India was marred by the presence of a rabid Sikh separatist who, though not part of Trudeau’s official delegation, received a visa despite his extremist views. Major democracies, including the US and India, are today ruled by the Right. And yet, Trudeau ticks all the right boxes of modern liberalism. He is determinedly plural: half his cabinet comprises women; several Sikhs head key ministries. He is gay-friendly, supports transgenders and doesn’t have a racist bone in his body. He is the anti-Trump. Just as the Left can be nasty (Stalin and Mao murdered millions of their citizens in Russia and China, Castro impoverished Cuba and Hugo Chavez ruined Venezuela), the Right is often wrongheaded. 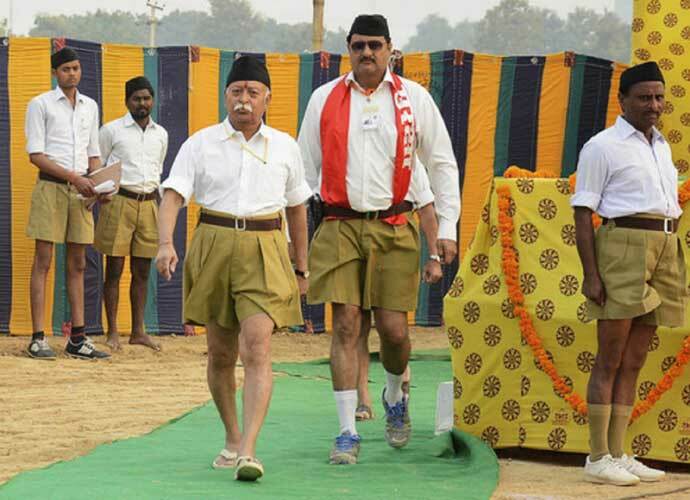 The Rashtriya Swayamsevak Sangh (RSS) is certainly not a product of the liberal Right. It is not even particularly right wing either - a proposition that will shock its core believers. On economic policy, the RSS is ideologically aligned with the Left. Consider the RSS’ position on the economy and society. It favours a swadeshi economy, discourages foreign investment and does not allow women to be a part of the main organisation. They can only be members of the women’s wing. Disparate organisations, ranging from business bodies like FICCI to political parties like the BJP and the Congress, have a women’s division, but also allow women membership of the parent body. Many have gone on to head such organisations. The parent RSS though remains exclusively male. On economic policy, the RSS is ideologically aligned with the Left – which too will shock those who hew to the Right. Both the RSS and the Left are stuck in the 19th century. The BJP’S economic instincts, in contrast, incline towards an open economy, free markets and foreign investment. That is why traders, businessmen and industrialists have long favoured it. Yet, over the last four years, the BJP’s economic policy has moved to the Left. Many of its non-ideological reforms like the Insolvency and Bankruptcy Code (IBC) have been game-changers. But its stupor over labour reforms and continuing inconsistency over tax policy betray confused thinking. Consider now the five commandments of liberal governance to see whether the Left or the Right makes the cut. Commandment One: A liberal, open economy must encourage competition and set fair rules. The Narasimha Rao government worked towards these criteria between 1991 and 1996. The Congress-led UPA in 2004-14 had good economic moments but was fatally compromised by corruption. The BJP-led NDA inherited a broken, institutionally corrupt ecosystem in 2014. It has been unable to fix it. That could prove its undoing. Commandment Two: The judicial system must be firm, fair and fast. The Congress failed on all three counts. So has the BJP. As political theorist Francis Fukuyama wrote in The End of History and the Last Man, a successful country must satisfy three criteria: accountable governance, rule of law and transparent democracy. Neither Congress nor BJP governments have met these criteria. Commandment Three: A genuinely secular, plural society does not discriminate on the basis of caste, religion or gender, does not appease minorities, does not instigate the majority, and keeps religion out of politics. The Congress has time and again failed these tests - from Shah Bano in 1985 to Batla House in 2008. The BJP has been even more brazen in using majoritarianism to win votes, taking the Congress’ decades-long appeasement of Muslims to an entirely different level by institutionalising polarisation. Commandment Four: Foreign policy must be consistent and coherent. 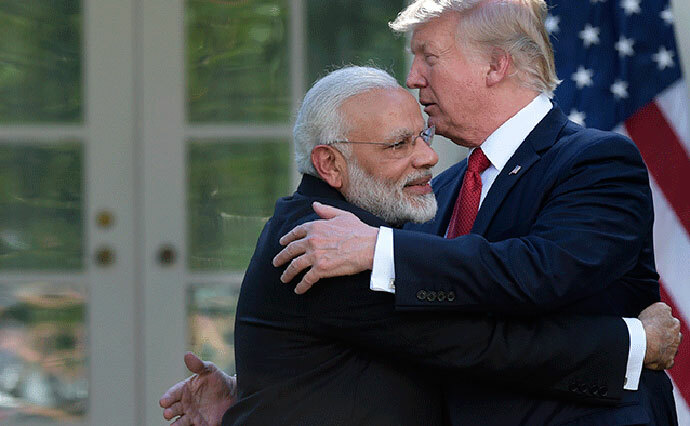 Left-leaning Congress did well to deepen the strategic partnership with the United States which the BJP has continued to strengthen. But the BJP-led NDA government has floundered badly on how to deal with Pakistan. It tried conciliation but got Pathankot and Uri in return. It undertook a surgical strike but then followed a policy of reactive firing across the Line of Control (LOC) rather than proactive destruction of terror modules in Pakistan-occupied Kashmir (POK). In Kashmir, the security forces have done well to neutralise nearly half of active LeT, JeM and Hizbul terrorists in the Valley. But with summer around the corner, the government’s carrot, in the form of interlocutor Dineshwar Sharma, is too small and its stick, held to ransom by alliance partner PDP, too ineffective. Commandment Five: Leave the media well alone. Rajiv Gandhi tried to muzzle it with the anti-defamation act and failed. The UPA brought strict laws to curtail online freedom - and again failed. The BJP government fell into a trap of its own making when it was compelled to withdraw a circular on fake news. Fake news is a perishible commodity. It dies in the absence of oxygen. The government should steer clear of trying to demonise it. There are enough news warriors on the Right and Left who will do it for them. In a truly liberal society, ideology does not decide who leans Right and who leans Left. Issues decide where you stand on, for example, gender equality, freedom of speech, foreign investment, censorship, dissent, pluralism and national security. To be a true-blue liberal you should be equally comfortable with a Muslim man in a skull cap, a Muslim woman in a burqa, a Sikh with a kirpan and a Hindu with a trishul. Liberal but naïve Hindus treat Muslims as if they were an endangered species like the black buck, needing constant care and protection. But what Muslims need is jobs, homes and prosperity. They want to be pulled out of the poverty and ghettos secular India has boxed them into for 71 years. Their mullahs won’t help them. Extremist Hindu groups won’t either. Liberal but naïve Hindus will only prolong their misery by unwittingly setting them up against decent, moderate, but increasingly resentful Hindus. Liberals reject prejudice, from wherever it comes. They welcome diversity. They support non-discriminatory civil common codes for Muslims and Parsis, for Hindus and Christians. They abhor appeasement and polarisation. They support rationalism and dismiss superstition. They are inclusive nationalists who put India first and their religious, caste, regional and linguistic identity last. Those who don’t, whether on the Left or Right, are not liberals.